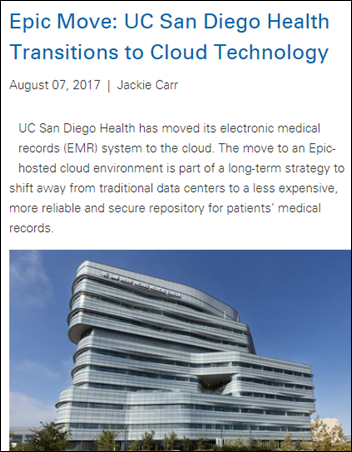 UC San Diego Health (CA) moves from its self-hosted Epic system to an Epic-hosted, cloud-based system, the first academic medical center to undertake that particular migration. UCSD says it is shifting away from running its own hosted centers to cloud-based systems because of cost and reliability. The Epic switch involved 10,000 workstations and integration of 100 third-party applications. UC Irvine Health will move to UCSD Health’s Epic cloud-based instance in November 2017. UC San Francisco announced a $10 million grant in late July that will fund a project to mine the combined Epic databases of all five UC medical centers to discover new insights and possibly find new uses for existing drugs. From Sister Sledge: “Re: Allscripts. One of the rags ran a map of where McKesson EIS had customers, claiming that geography matters to a vendor and that Allscripts will benefit from gaining more customers in the West. Think so?” I don’t think so. Geography can affect sales, but only for companies that have clear momentum and neither McKesson nor Allscripts have ever had that. My prediction is that Cerner, Epic, and maybe Meditech will benefit most when those customers start looking for replacement systems. It’s not at all similar to when Cerner bought Siemens Health Services and could offer them a lifeline from their rapidly sinking systems to a market-leading one. Allscripts can boast about a higher customer count or wider geographic reach, but a lot of those customers are likely to defect in the next few years as the Cerner and Epic train keeps rolling over everything in its path (accelerated by big hospitals buying smaller ones) and the acquisition encourages those former McKesson customers to review their positions. The direction of change in customer satisfaction post-acquisition will predict a lot. MDRX shares are at the same price as they were in mid-1999, so stock performance won’t create much confidence – Cerner shares are up 322 percent in the past 10 years, McKesson shares are up 167 percent, and the Nasdaq index is up 136 percent, all while Allscripts shares were losing 52 percent of their value. Simon seemed a bit swaggering and over-the-top in the video, which left me feeling that his comments were more of an entertaining story for the in-person conference audience rather than a trustworthy, verbatim discussion of what was said by others in his presence. Simon’s tone in the remainder of his remarks was clearly anti-EHR vendor. I got the feeling that the Biden story was his chance to take a shot at them. 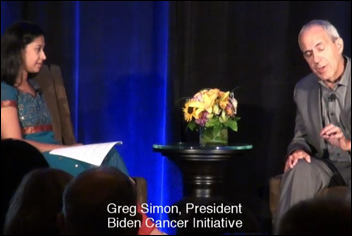 The conversation between Biden and Faulkner he described took place nearly seven months ago, resulting in zero reaction until the conference video from Simon’s session was published. Others in attendance (it was not a private meeting) have not corroborated Simon’s account, and in fact have said the meeting was, as Faulkner said, cordial and polite. Even accepting Faulkner’s supposed comments at face value, it’s a leap to assume that her message was dismissive, paternalistic, or defensive about patients accessing their data. Tone is everything and her supposed comment that Biden wouldn’t be able to make sense out of an Epic EHR data dump is generally accurate, although perhaps Biden took offense thinking he was being spoken down to. The bottom line for me is that it’s much ado about nothing regardless of whether Simon’s recap is accurate. It was a fun story for a couple of days, but not necessarily accurate or indicative of any particular trend or practice, especially in the absence of commentary from Biden himself. If he were that riled up, he’s had seven months to say so. 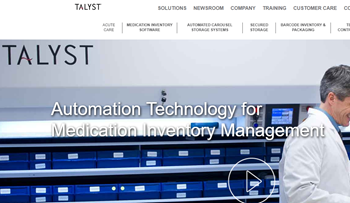 Pharmacy supply chain technology vendor Swisslog Healthcare acquires Talyst Systems, which offers medication management solutions to acute care and long term care facilities. 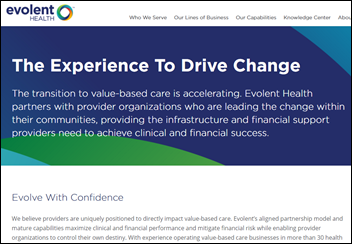 Evolent Health reports Q2 results: revenue up 89 percent, EPS –$0.13 vs. –$0.25, beating revenue expectations and meeting on earnings. News of the company’s plan to launch a $175 million secondary public offering sent shares down 17 percent in early after-hours trading Tuesday. 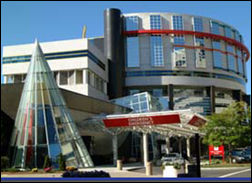 Connecticut Children’s Hospital chooses InstaMed’s healthcare payments solution. Toronto-based Baycrest Health Sciences selects Caradigm’s single sign-on and context management systems. Stephen Grossbart, PhD (Stephen Grossbart and Associates) joins Health Catalyst as SVP of professional services. 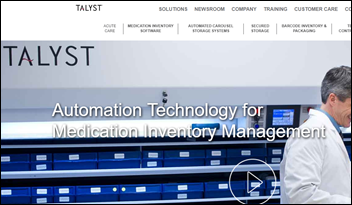 Ingenious Med hires Girish Pathria (Visiant) as VP of products and insights and names Nancy Cunningham (Accord Services) as VP of implementations. Susan Steagull (Novant Health) joins VCU Health System (VA) as CIO. 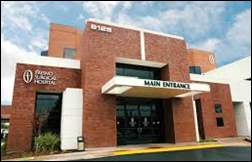 Fresno Surgical Hospital (CA) goes live on FormFast’s electronic signature solution in its Meditech environment. The now-retired NIST manager who in 2003 was ordered to quickly develop password-setting guidelines says he was wrong about recommending that passwords be required to conform to bizarre rules that require mixed-case letters and special characters. New NIST guidelines recommend that passwords be created from long but easily-remembered phrases. Analysis found that a password like “correcthorsebatterystaple” would require 550 years to crack, while an old-rules version such as “Tr0ub4dor&3” could be broken in just three days. The guidelines also say that passwords need not be auto-expired, with users forced to change their passwords only if they are known to have been compromised. In India, a hospital IT director and one of his former employees are arrested for stealing hospital data required for accreditation and selling it to other hospitals. 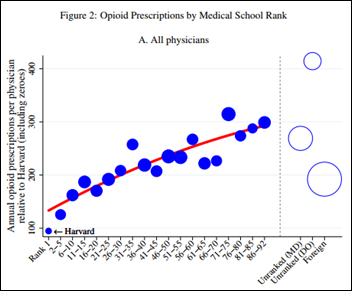 A study of all US opioid prescriptions issued over a nine-year period finds that doctors who graduated from low-ranked medical schools prescribe a lot more opioids than those who attended top-tier programs, concluding that physician educational outreach might help with overuse. Based on the graph above, it looks like osteopaths (DOs) are a much bigger problem than just about everyone else, including foreign medical graduates, although that wasn’t the subject of the study. I’m not sure I buy the conclusion, however, since it would be interesting to also look at number of years since graduation and the practice location — I would bet that many graduates of top-ranked schools tend to practice locally afterward and have a different kind of peer group and big-hospital oversight that happens mostly in major teaching hospitals with employed doctors. The bottom-ranked schools, in case you are as interested as I am, are Drexel, University of Nevada, Michigan State, West Virginia University, and University of South Carolina, which might be especially concerning if your doctor finished at the back of the pack of his or her graduating class. 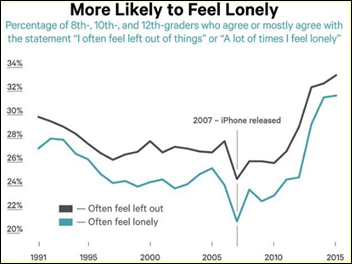 A researcher observes with some alarm that post-Millennials are “on the brink of the worst mental health crisis in decades” because they spend all their free time on Snapchat or texting instead of physically interacting with people, with a steep drop-off in time spent with friends even though virtual interaction leaves them less happy. Those who proudly document their activities on social media also cause everybody else to feel left out or to obsess over how many “likes” they earn. In a somewhat related article, a small study finds that AI-powered analysis of Instagram photos (color, comments, likes, posting frequency) is much more accurate at diagnosing depression than face-to-face doctor visits. Giving employees a healthcare price transparency tool didn’t reduce overall spending, a study finds, noting that only 12 percent of the employees even bothered to look at it. The price tool saved an average of 14 percent of the cost of advanced imaging studies, but only 1 percent of those patients consulted the tool before having the test performed. We are so blessed in healthcare IT to have access to a $3,480 report written by obvious experts. 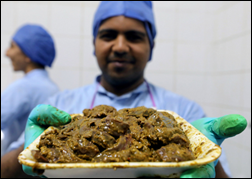 In Egypt, 10 doctors launch an operating room-themed restaurant that claims its food is safer because of the medical training of the owners. Aprima will host its annual user conference August 18-20 in Dallas, TX. EClinicalWorks announces that users of its EHR have exchanged two million documents in the past 12 months through the Carequality Interoperability Framework. Dresner Advisory Services honors Dimensional Insight with its Industry Excellence Award for business intelligence expertise. Glytec showcases the impact its therapy management software along with connected device systems has on insulin management at the American Association of Diabetes Educators conference. Healthfinch VP of Operations and Finance Leah Roe will speak at Forward Fest Madison August 17-24 in Wisconsin. Influence Health announces the speaker lineup for its Influence! Healthcare Consumer Experience Conference September 27-28 in Orlando, FL. I find it amazing how you hate on Allscripts and just regurgitate the same opinions and non facts. Who cares about the stock prices? Stick to what matters which I guess for HisTalk is it’s sponsors – there is no train rolling over the industry from a Cerner and Epic you just are a mouth piece for those who cannot stand the FACT there will always be more than two primary vendors in the industry. Geography and network effect matters. Just stop already with the stocks and gossip that matters not to users. Oh yeah, you can’t because that would rip your clicks. Dude (or Dudette), you seem to have a lot of anger in your comment and perhaps need to chill out. No one is forcing you to read this content. Being so upset may in fact diminish your argument. In all objectivity, you may have a point that Cerner and Epic dominate the airwaves/headlines/memes in the health IT space. This is not fault of this site but is perhaps a classic American way of thinking: consider Coke and Pepsi, where all other good ones with decent markets such as Dr Pepper get lumped into the bucket titled “Other” and have to share their digs with Fresca, Similarly, the political systems in US (unlike Europe) has only 2 parties: Democratic and Republicans – good luck to the Green, Libertarian and others who want a prominent third party positioning. Also, the ancient HL7 standards are getting modernized at glacial speed. The regulators either don’t care or don’t have the balls or can’t leapfrog over hurdles (lobbyists) to get some innovation going. The real issue then may be that this technology is stuck in the stone age – your outburst reminds me of similar discussions decades ago where only Oracle and Microsoft got any mention. Long story short (or TL; dr -ask some millennials what that means), this is where we are at: Health IT changes are going to be evolutionary and not revolutionary. Hope this has helped; Feel free to add constructively to the discussion. 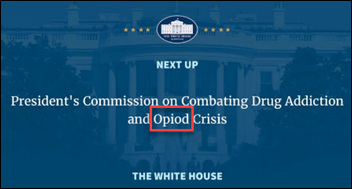 “Epic …made for shareholders and not for doctors, pharmacists or nurses.” Interesting since Epic is not publicly traded. Does a company need to be publicly traded for it to have shareholders? When have regulators ever led to innovation? That’s like asking a prisoner to design a more secure jail. The scariest words known to man are “I’m from the government, I’m here to help”. The reason we don’t have innovation is because so much developer time has been devoted to meeting regulatory requirements and not spent on improving workflows and efficiency. You must not ever have procured software for a health system. Of course we look at publicly available financials, including share price history. Poor numbers usually portend R&D cutbacks, lower support quality, and a possible acquisition that starts the relationship over with an acquirer we might not like. We want the vendor paying attention to us, not impatient shareholders. The Athenahealth drama, for example, is real and of unknown customer impact. Please provide the locations in which Allscripts Sunrise has benefited from geography and network effect so far. Public financials matter tremendously. Disclosure is even part of formal RFP and in some cases Board approval. In some government contracts, it is likely more important than geography or network. Financials absolutely matter. Although Epic as a private company provides zero transparency to their financials. Clients and prospects get transparency with the public companies. Albeit not perfect. BUT stock prices are simply not a valuable indicator upon which to make a procurement decision. Competitors who use stock charts should be using that space to prove out ROI. New York/Tri State, Cleveland, Dallas, Southern California, northern/central Florida and Southern Georgia For Epic same is true. Everyone knows when they get a toe hold in a market (Arizona) it can be game over. Helped by their influence in getting CIOs hired into open jobs. Just to set the record straight, the only vendor of the four I mentioned that is an HIStalk sponsor is Meditech. Allscripts, Cerner, and Epic are not. 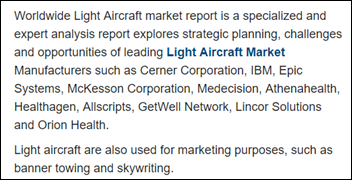 While Tim seems a bit hard on Allscripts, especially using ten yr stock trends to judge MDRX against others (btw MDRX shares went up 16% after Q2’17 call) the truth is, Epic and Cerner are slowly but surely rolling up the market, consolidation being a key factor. The acq of McK’s EIS biz for short money was a good move for Allscripts as it gives them additional customers to potentially sell Sunrise into and also gives them a respectable EHR solution, in Paragon, for smaller hospitals. Allscripts though will need to work hard to hang onto those McK customers and focusing on service is a good place to start as McK sucked at it. I am by no means an expert in this arena, but it seems counterintuitive to me that we should not require regular password changes when a significant percentage of network breaches involving credentials aren’t reported or even discovered for months or years after the fact. I spent years administering security and that taught me some things. 3). Slavishly following ‘accepted security wisdom’ leads to legitimate users doing things that undermine your security! 4). Security people need some goodwill from their users. Which means they must chart a middle course between Best For Security and Most Convenient For Users. 5). Best Practices suggested no password re-use. I agree with this. If you really want to increase security with minimal user resistance, multi-factor is a good way to go. Mix some combination of Something You Know, Something You Have, and Something You Are. Passwords alone are weaker because they only address Something You Know. Another decent approach are those password vault-type products (LastPass, KeePass, etc.). Epic doesn’t have a “cloud based EHR”. They offer hosting for the same client-server product they’ve always had. Epic has been offering hosting for well over a year now. I have seen this story about UCSD a couple of times, and I’m not sure why people think this is news. It’s blatantly obvious this website has a bias. If the “cloud” news story was about Allscripts/Cerner Mr. H would cry fake news and point out remotely hosting a server IS NOT cloud. But when it is Epic involved it makes his front page. I’m done with this website. All you ants can keep regurgitating the opinion of one guy who is anonymous. Ants you are…all of you. It’s summer right before Labor Day. Check the other “news” that was available (read down the page and tell me what you would have chosen) and you’ll see why I was left with an admittedly poor lead item that I wasn’t happy about, either. I will defend it as newsworthy, though — Epic hosting a big health system gives it a capability it didn’t have (and apparently didn’t want to have) until a year or two ago while both Allscripts and Cerner have done hosting for many years. It was big “news” only in the absence of anything else interesting. RE: UCSD…Epic’s non-marketing department strikes again. Let’s be clear that remote hosted does not equal cloud.